Dingley may be the gateway to many of Victoria’s most beautiful natural attractions, but all that greenery can result in some serious gutter build-up. When the leaves begin to change colour each autumn, this should be your reminder that it’s time to book in for a professional gutter cleaning service. 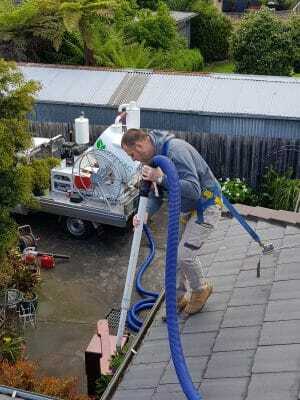 Hiring a professional gutter cleaner in Dingley is the easiest way to get the job done so you can relax for the wet and rainy seasons ahead without worrying about any potential damage caused by blocked gutters. Gutter cleaning is one of those tasks most of us would like to avoid but doing so can lead to serious and expensive problems later down the track. Once leaves, twigs, rubbish and debris start to build up, water can’t flow through properly and the blockage leads to leaks which can damage your roof, garden and structural foundation of your home. Repairing these problems is no easy fix, which is why regular gutter cleaning is so important. Hiring LeafVac to do the job for you means you never have to worry about cleaning your gutters by yourself again. Our expert gutter cleaning professionals arrive on the day armed with all the knowledge and equipment needed to clean you gutters as thoroughly as possible. We use heavy-duty vacuum extractors to give your gutters the most powerful clean imaginable, removing all dirt and debris to ensure your home is protected for the coming seasons. Call us on 0455 488 837 to book your professional gutter cleaning in Dingley today.